In the piney woods of the hot and humid deep south in Kentwood, LA. I live in a small handmade house on two acres with gardens and creatures (mainly bugs). I have two fat ponies, three spoiled dogs, three goldfish, one gold Koi, one cat (Nimbus the Queen), and one son, Felix. My Pets Picasa Photo Album. I was born in New Orleans and raised in the suburbs. As a toddler I had a plastic palomino spring/rocking horse and I was also crazy about the City Park Carrousel horses and the live park ponies. My daddy would bounce me on his knee when we watched old western movies and cowboy shows – Hi Ho Silver and away! I was greatly attracted to the horses and loved when they showed wild horse herds on the move. Disney animal movies and shows were also favorites. When did you first start drawing & painting horses? When didn’t I, is the question. My mother read many wonderfully illustrated books to me. She also supplied me with me paper, pencils, crayons, and (prized) markers brought from the Fuller Brush salesman. I won a school art contest in third grade and covered all my school notebooks with drawings many of which were of horses. During playtime if I wasn’t drawing I would be running around the school yard playing horses. By the age of fourteen I knew I wanted to be an artist. I knew it before then but I couldn’t bring myself to say it out loud until then. What is your favorite breed to depict in your horse art? I love the elegant form of the Arabian horse, the thick flowing manes of the Andalusian and Friesian horses, the power of the draft breeds, the rugged spirit of the Mustangs, and cuteness of the pony breeds. Horses in general have a form that for some reason most people find pleasing-maybe it’s their curves and flowing mane and tail. The motion and speed of a moving horse-what beauty. Who are your main art influences? 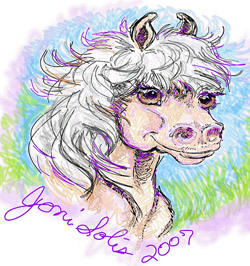 I enjoy viewing a large variety of horse art from stylized cave paintings to the realistic equine masters of yesterday to the current equine artist displaying on the Internet today. I am inspired by all kinds of art in all mediums and by nature. 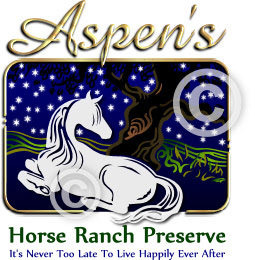 In 2001 I had a couple of websites set up, one of which sold original horse art and people kept contacting me about creating logos for their horse businesses. 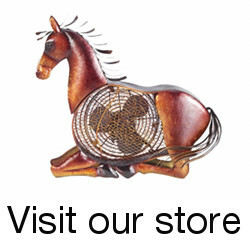 Soon I was selling more horse logos than horse paintings. 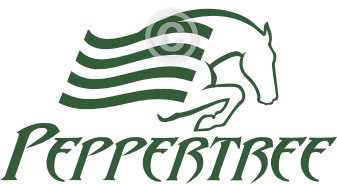 Before this I never considered specializing in equine logos, but once I started I bought books on logo design and studied logo designs online and off. I try to stay open to new ideas and new learning opportunities. 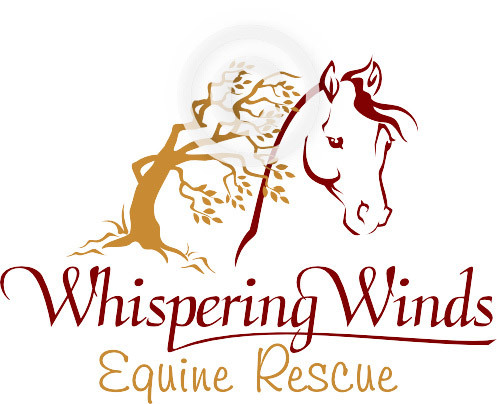 What is the biggest challenge in designing equine logos? The main challenge is keeping in mind that a logo has to be designed for flexibility. It must work well when viewed in only one color or multi colors, from near and far, up close and from a distance, and printed on different items from paper to steel. 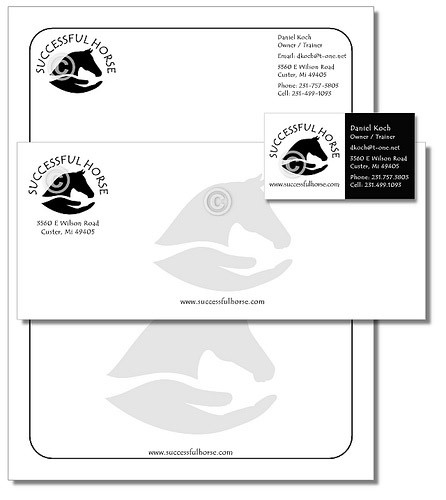 Logo designs work best when kept simple enough to be recognizable printing on business cards and when viewing a ranch sign from a moving vehicle. Sometimes the biggest challenge is steering the logo client to a less complicated design than what they first imagined for their logo. Some people start off with an idea that when reduced in size is difficult to make out. Seems that horse logos would call for on strong illustration skills, do you agree? Well yes most horse business owners and people in general will notice if you draw a horse badly and a horse is not the easiest animal to draw correctly. Even in stylized horse logo designs you want the horse to look pleasing to the eye and recognize as a horse and not a dog or other animal. I pull out my graphic art/logo books and horse books/magazines and start flipping through them. I also gallop around the Internet for inspiration too. Then I start sketching out ideas and work from there. Sometimes the best idea is the first one, and at other times it is the last one I come up with. I check these to make sure they still work as a one color design and when reduced in size. 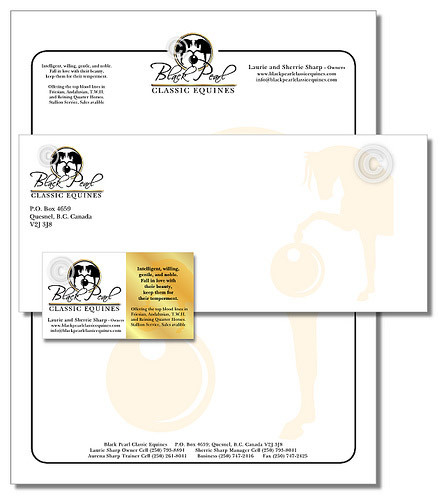 Sometimes a design looks great in full color but fails the one color test or when viewed small. Music is also helpful when designing and I enjoy the classics, Elvis, country, rock and roll, new age brain music, and educational audio reports and books. If I run out of ideas are just get bug eyed from the computer screen I go outside and work in my garden for a bit – that always seems to get the ideas flowing again. Anyone with an Internet collection can now enjoy an incredible amount and variety of art from around the world day or night. This exposure is good for everyone including the artist. I think the web has allowed more people become artist and inspires more people to collect artwork. What effect has the web had on your art? Like I said earlier I wouldn’t be doing horse logos if it weren’t for people contacting me online and asking for this service. The web allows artist and designers a worldwide market that never sleeps and online payment services make it easier to receive payments. I can communicate with other artist and horse people no matter where they live and whom I would have never have met in person. Any special websites you frequent for inspiration? Yes, quite a few: Google Images for research searches, ImageKind, Etsy, RedBubble, deviantART, YouTube, horse blogs, among others. Animal welfare and pet rescue are areas were we as humans have come a long way, but still have a long way to go. I am also interested in self improvement and spiritual development. Draw/paint/design what you love, go for happiness over money, and keep your mind healthy by keeping your body and mind fed with the best food and thoughts you can find, buy, and/or grow. What you draw in your mind has more to do with your success and happiness than any art you create that others can view. Thanks to Joni for answering the interview and sharing her work. 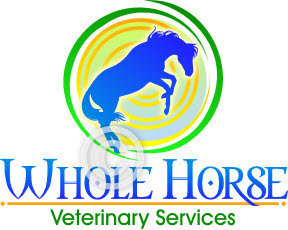 Be sure to check out her equine design & business website periodically for updates about her latest works. This entry was posted in Interviews on August 11, 2009 by The Equinest. Thank you Paige for doing this artist interview with me! Three years later I still get compliments on my logo. Hi, Paul, nice that you dropped by. Your photos of horses and people together are wonderful.